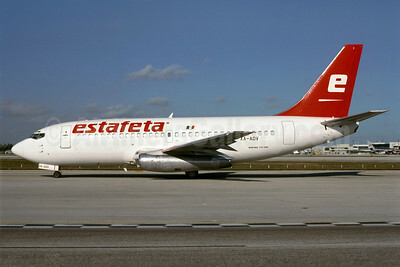 (E7/ESF) (Mexico City) 2000 - Current. Photos. Framable Color Prints and Posters. Digital Sharp Images. Aviation Gifts. Slide Shows. 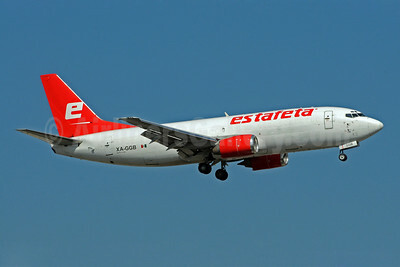 Estafeta Carga Aerea Boeing 737-2T4C XA-ADV (msn 23066) MIA (Bruce Drum). Image: 103694. 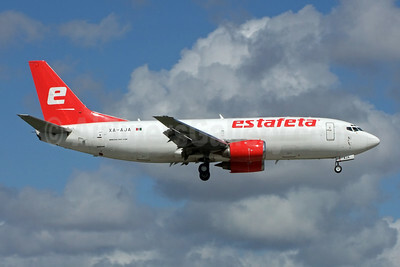 Estafeta Carga Aerea Boeing 737-3M8 (F) XA-ECA (msn 24024) MIA (Brian McDonough). Image: 901863. 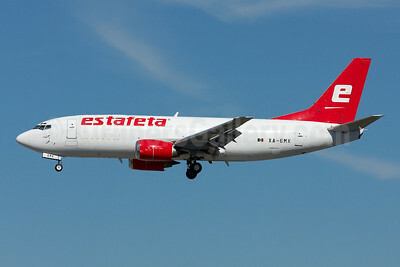 Estafeta Carga Aerea Boeing 737-3M8 (F) XA-GGB (msn 24023) MIA (Bruce Drum). Image: 101320. 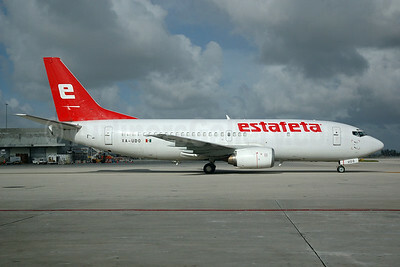 Estafeta Carga Aerea Boeing 737-3Y0 (F) XA-AJA (msn 23747) MIA (Jay Selman). Image: 402212. Estafeta Carga Aerea Boeing 737-3Y0 (F) XA-UDQ (msn 23500) MIA (Bruce Drum). Image: 100387. 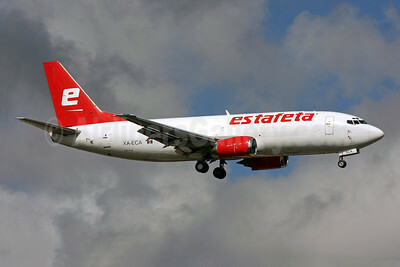 Estafeta Carga Aerea Boeing 737-375 (F) XA-EMX (msn 23707) MIA (Arnd Wolf). Image: 907590.